Ichthys.ie - Father Jerzy Popiełuszko. The Canonisation process has began. Fr Joseph-Marie Verlinde: from Buddhism to Jesus. Father Jerzy Popiełuszko. The Canonisation process has began. Today, 20th of September, the Canonisation Process of blessed Jerzy Popiełuszko has began. France, 2012. After battling atypical Chronic myelogenous leukaemia for eleven years, Mr François Audelan, 56, father to three daughters, was on his deathbed in Albert Chenevier Hospital. Numerous chemotherapies and bone marrow transplant didn't work as expected. In November 2011 sudden deterioration of his condition caused problems with walking and in August 2012 he started loosing consciousness. The doctors told his wife that the cancerous cells had spread throughout her husband's body and that she should prepare for the worst. During his stay in Poland father Bernard Brien visited the grave of blessed Fr. Jerzy Popiełuszko. He prayed there and at some stage realised Fr Popiełuszko was his peer. Ever since Fr Brien became a zealous promoter of the cult of the Polish blessed priest. Some time later he was asked to administer the Anointment of the Sick to dying Mr Audelan. On 14th of September he arrived at the Albert Chenevier Hospital, he administered the sacrament and then took out the picture of the blessed Fr Popiełuszko and prayed over the unconscious patient. 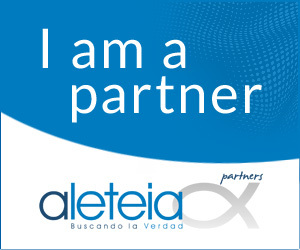 Next days brought numerous medical tests performed on Mr Audelan. Eventually he was pronounced leukaemia free which was attested by a hospital paper dated 7th of December 2012. Some time later, Msgr Michel Santier, the bishop of Créteil, who himself had visited the grave of the Polish blessed a year earlier, was notified about the miracle. In 2013 the information about the miracle reached the Postulation for canonisation of blessed Popiełuszko. The consultations with Congregation for the Causes of Saints have been made, and Msgr Santier, after consulting Fr Prof Tomasz Kaczmarek, the postulator of the canonization, made a decision to start the diocesan investigation about alleged miraculous healing of Mr François Audelan. After all preliminary preparations and agreeing that the canonization process will be carried jointly by diocese of Créteil and archdiocese of Warsaw, Msgr Santier fixed the date of beginning of the process to 20th of September. Born in 14th of September 1947 in Okopy near Suchowola, Poland, as the third of five children of Władysław and Marianna Popiełuszko. He was ordained a priest in 1972. In 1980 he was sent to strikers in Warsaw Steel Works and ever since he was associated with workers and Solidarity movement opposing Communistic regime of Poland. He proved to be charismatic priest. His sermons during so called Holy Masses for Homeland drew hundreds of thousands to the Churches and were retransmitted by Radio Free Europe. Soon he became famous, traveling with his sermons to other cities in Poland. He also immediately drew attention of Security Service of the Ministry of Internal Affairs (Służba Bezpieczeństwa Ministerstwa Spraw Wewnętrznych, or SB) and particularly of the IV Department of Ministry of Internal Affairs dealing with anti-state religious activity. 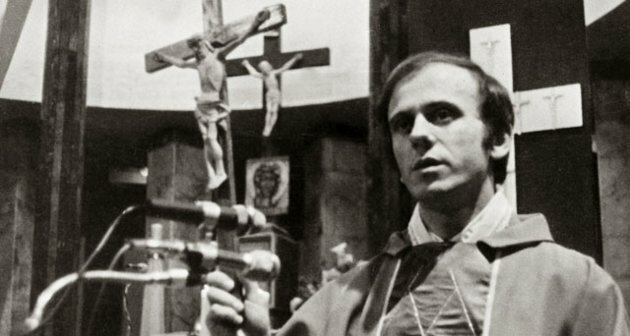 Numerous provocations and intimidations of Fr Popiełuszko took place including anonymous threat letters and phone calls, fabricated evidence, media campaigns, and even few assassination attempts. 19th of October 1984 Fr Popiełuszko arrived to the parish of Polish Martyr Brothers in Bydgoszcz invited there to say a sermon. After the Holy Mass, during his return to Warsaw, he was kidnapped by three Security Service officers, captain Grzegorz Piotrowski, lieutenant Leszek Pękala and lieutnant Waldemar Chrostowski. His tied-up and weighted with a bag of stones body was recovered 30th of October 1984 from Vistula Water Reservoir near Włocławek. The autopsy revealed signs of severe beating and torture. The murderers along with their immediate superior, colonel Adam Pietruszka, were convicted in so called Toruń Trial, despite the fact that the crime most probably was ordered by someone much higher in communistic hierarchy. Subsequent trials of generals Władysław Ciastoń and Zenon Płatek ended with acquittal of both suspects. The funeral took place on 3rd of November 1984. It was attended by over 250,000 people including legendary Solidarity leader and Nobel Peace Prize winner Lech Wałęsa. 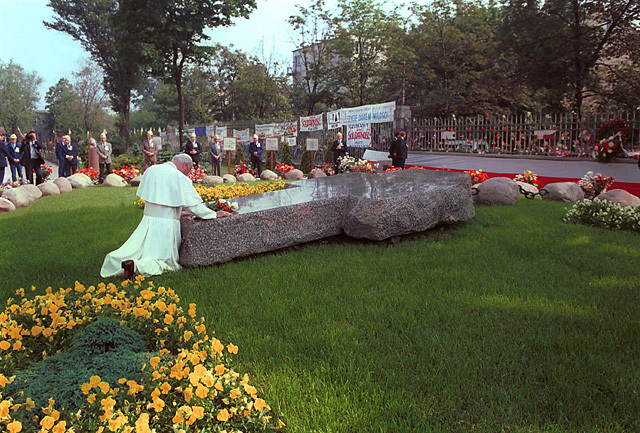 The process of beatification of Father Jerzy Popiełuszko started in 1997. In 2008 he was announced Servant of God, 19 December pope Benedict XVI approved the decree of beatification. He was beautified on 6 June 2010 in Warsaw. The beautification Holy Mass on Piłsudski Square in Warsaw was attended by more that 100,000 people. 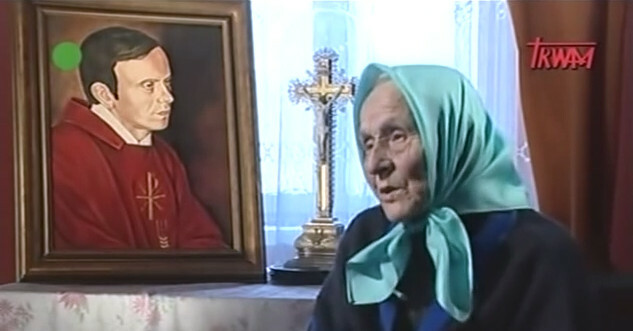 Fr Popiełuszko's mother, Marianna Popiełuszko nee Gniedziejko, who outlived her son by 29 years, forgave his murderers, leaving their judgement to God. She always believed that her son would become a saint and after his death claimed to have connection with him by prayer. One day a reporter tried to make her to elaborate on praying to Fr Popiełuszko and receiving help from him. She just answered, “Try it yourself”. The final sentence of Fr Popiełuszko's last sermon, 19th October 1984. Mary Wagner on post stamps in Poland.